In 1991 Nike produced the Air Max 180 sports-shoe, which became highly popular for its cutting-edge technology and artistic roots. For the first time, Nike collaborated with artists from the very beginning to tell the story of innovation born from creativity. 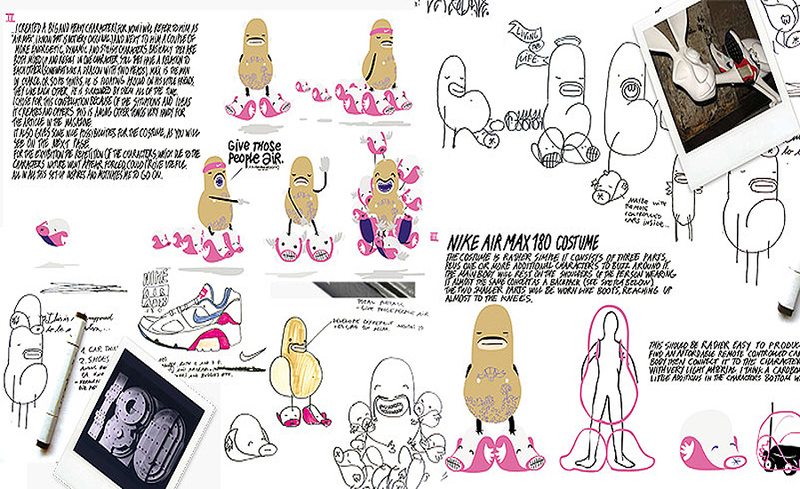 For their re-launch in 2006, Nike commissioned Pictoplasma to find a designer to revive the original spirit in a new, iconic character, giving tribute to air and zero gravity and at the same time transmitting a contemporary, urban quality. 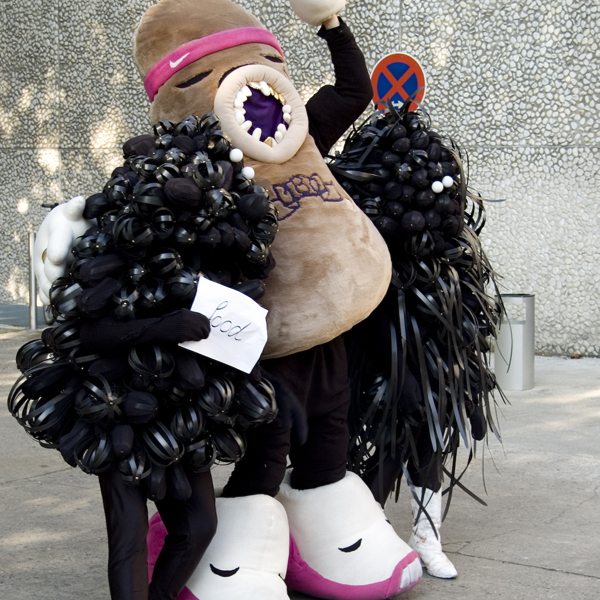 Pictoplasma developed this idea a bit further to not only design a character, but to produce it as a costume that would incorporate the figure into our world. 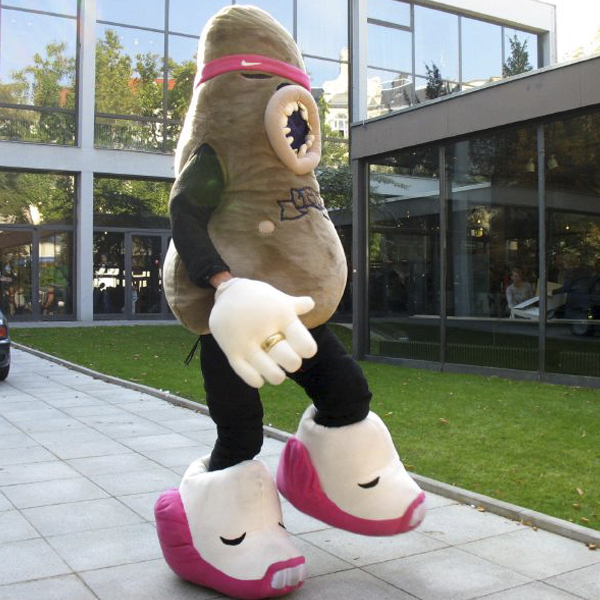 The German artist Wayne Horse, known for his innovative graffiti, animations and art projects, designed a new character and took over the production of the full-body costume. 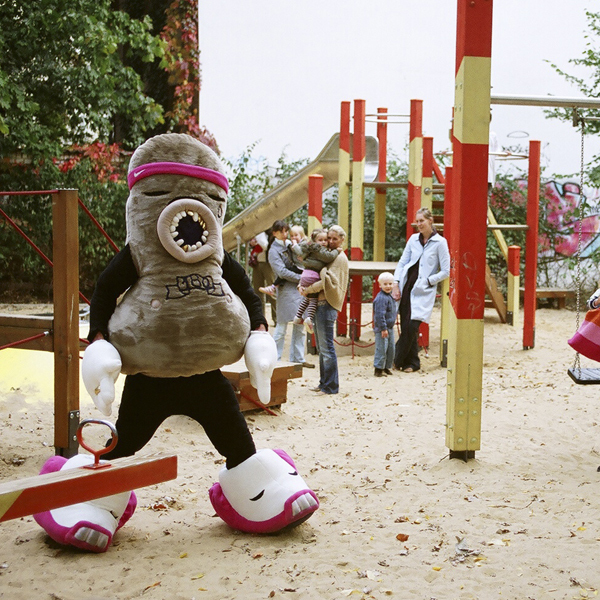 Max had his first appearance at the 2nd Pictoplasma Conference where he mingled with an international audience, was host of his own gallery exhibition, initiated urban interventions and had a big appearance at the main venue, animating attendees to sing at the closing karaoke party.